THE B-MOVIE NEWS VAULT: Arrow Video Brings Down the HOUSE (Collection) in March! Arrow Video Brings Down the HOUSE (Collection) in March! BRING HOME THE "HOUSE" COLLECTION FROM ARROW VIDEO UK ON MARCH 27TH, OR "HOUSE: TWO STORIES" ON MARCH 21ST! Egads! I never thought I'd see the day where fans would get complete sets of ANY Horror franchise, let alone the likes of FRIDAY THE 13TH and HALLOWEEN. 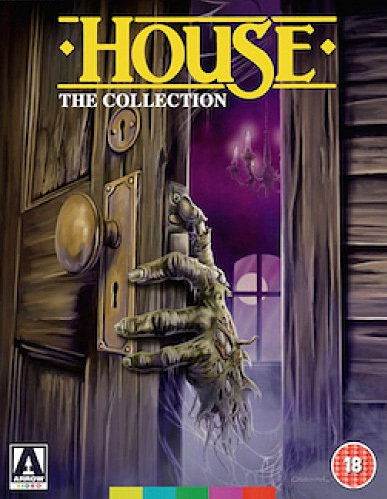 And now here I am telling you about Arrow Video's upcoming HOUSE: THE COMPLETE COLLECTION, which contains ALL FOUR "HOUSE" FILMS! 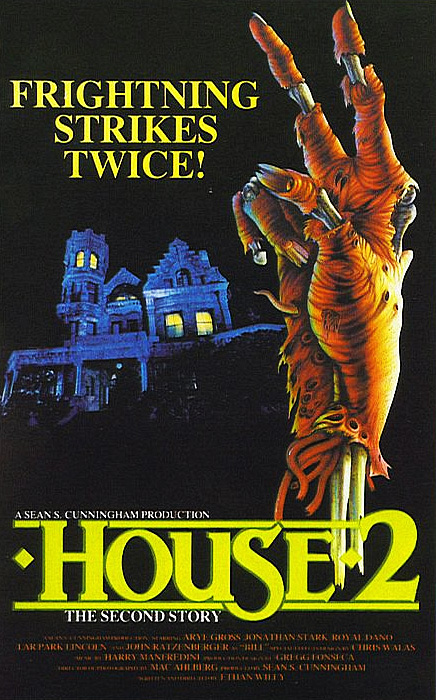 HOUSE and HOUSE II: THE SECOND STORY have primarily been available in North America on DVD (originally released by Anchor Bay), and HOUSE III (aka THE HORROR SHOW) was recently brought to Blu-ray by Scream Factory! 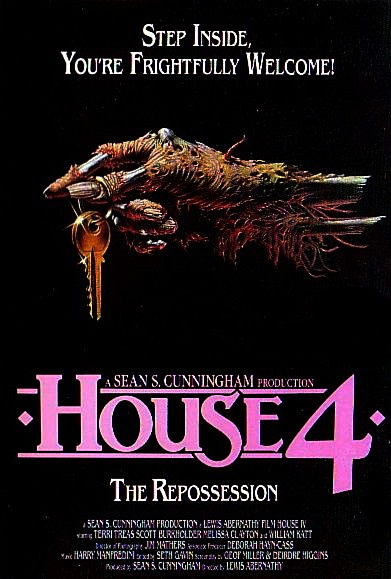 HOUSE IV has, to my knowledge, never seen a legit release since it's VHS days! So you can imagine how freakin' excited I am right now! Btw, it's important to note that this release is Region B-locked! So if you don't have a region free player, get one before the end of March! 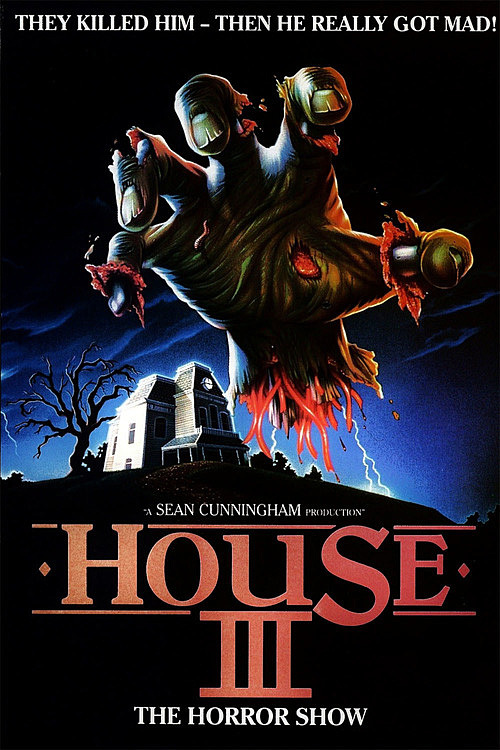 Otherwise, Arrow Video's U.S. label is offering up a nice double feature of HOUSE and HOUSE II for those that aren't completionists! But enough chatter! 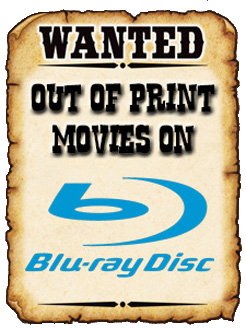 Scroll down to see all the juicy details of this incredible 8-disc set (4 DVDs & 4 Blu-rays! ), and be sure to pre-order it ASAP from ARROW VIDEO'S WEBSITE! Audio commentary with director Steve Miner, producer Sean S. Cunningham, actor William Katt and screenwriter Ethan Wiley. Ding Dong, You’re Dead! The Making of House – Brand new documentary featuring interviews with Steve Miner, Sean S. Cunningham, Ethan Wiley, story creator Fred Dekker, stars William Katt, Kay Lenz, and George Wendt, composer Harry Manfredini, special make-up and creature effects artists Barney Burman, Brian Wade, James Belohovek, Shannon Shea, Kirk Thatcher, and Bill Sturgeon, special paintings artists Richard Hescox and William Stout, and stunt coordinator Kane Hodder! 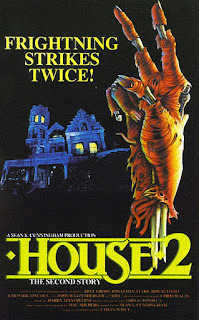 Synopsis for HOUSE II: THE SECOND STORY (1987): Young Jesse (Arye Gross) moves into an old family mansion where his parents were mysteriously murdered years before. Plans for turning the place into a party pad are soon thwarted by the appearance of Jesse’s mummified Great Grandpa (Royal Dano), his mystical crystal skull, and a zombified cowboy named Slim Razor, who’ll stop at nothing to lay his hands on it! Audio commentary with writer-director Ethan Wiley and producer Sean S. Cunningham. It’s Getting Weirder! The Making of House II: The Second Story – Brand new documentary featuring interviews with Ethan Wiley, Sean S. Cunningham, stars Arye Gross, Jonathan Stark, Lar Park Lincoln, and Devin DeVasquez, composer Harry Manfredini, special make-up & creature effects artists Chris Walas, Mike Smithson, visual effects supervisor Hoyt Yeatman, and stunt coordinator Kane Hodder! 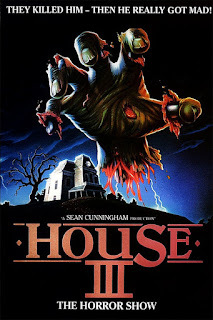 Synopsis for HOUSE III: THE HORROR SHOW (1989): Lance Henriksen (ALIENS) stars as a detective who sends a sadistic serial killer to the electric chair, only to find himself stalked by the maniac from beyond the grave. Released six months before SHOCKER, this HOUSE sequel-in-name-only failed to attain the cult status of Wes Craven's oddball Horror film. Audio commentary with producer Sean S. Cunningham. The Show Must Go On – interview with actor/stuntman Kane Hodder. House Mother – interview with actress Rita Taggart. Slaughter Inc. – brand new featurette with special make-up effects creators Robert Kurtzman, Greg Nicotero and Howard Berger. 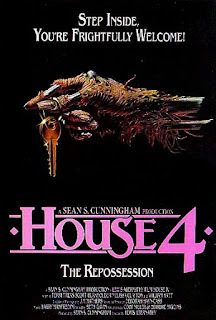 Synopsis for HOUSE IV: THE REPOSSESSION (1992): William Katt reprises his role as Roger Cobb, and returns to the fold for one last terrifying tale mixing seedy mobsters, Native American spirits, and a singing pizza! Released direct-to-VHS in 1992, this is the Blu-ray debut of this final addition to the HOUSE saga! Audio commentary with director Lewis Abernathy. Home Deadly Home: The Making of House IV – Brand new documentary featuring interviews with director Lewis Abernathy, producer Sean S. Cunningham, stars Terri Treas and William Katt, actor/stunt coordinator Kane Hodder, and composer Harry Manfredini. Once again this awesome set is REGION B locked, and currently only available through ARROW VIDEO and ZAAVI. Each film has been newly restored in 2K, plus this set boasts a set also comes with The House Companion, a collectible limited edition 60-page book featuring new writing on the entire HOUSE franchise by researcher Simon Barber, alongside a wealth of archive material! 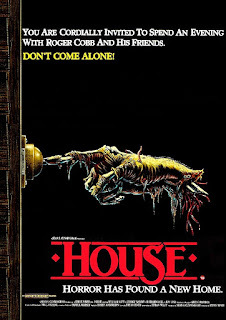 Now for those of you who aren't ready to purchase a new player and have this bad boy shipped from overseas, Arrow Video is also releasing HOUSE: TWO STORIES, a double feature Blu-ray set that contains the first two films. (Due out on March 21, 2017!) The extras and specs for this 2-disc set are identical to their UK counterpart, and this double feature will include the The House Companion. Order this Arrow U.S. release today, from AMAZON, DIABOLIK DVD, or BULLMOOSE.COM!